In the run in to Christmas, we have invited some of Ireland’s leading Film & TV talents to take part in IFTN’s festive Q&A. 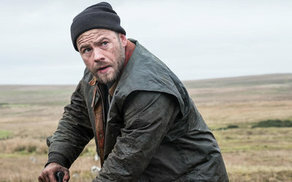 Moe Dunford first shot to prominence following his powerful display in Terry McMahon’s ‘Patrick’s Day’, which saw him receive a number of awards for his performance including the IFTA for ‘Best Actor in a Lead Role – Film’ at the 2015 ceremony. This performance also saw him pick up the EFP Shooting Star award at the 2015 Berlin International Film Festival. Best known for his role on History’s hit TV series ‘Vikings’, Dunford has also starred in several Irish feature films to date, including ‘Handsome Devil’, ‘Metal Heart’, ‘The Dig’ ‘Rosie’, ‘Black ‘47’ and Frank Berry’s ‘Michael Inside’, which picked up the IFTA for ‘Best Film’ at the 2018 ceremony. IFTN journalist Nathan Griffin caught up with Moe ahead of the festive season. What was your highlight of 2018? What are you most looking forward to working on in the New Year? What was your favourite Film of 2018? What TV Show did you binge watch this year? What Irish talent have you been impressed with over the past 12 months? What International talent would you most like to work with? What’s your favourite movie to watch on Christmas day?